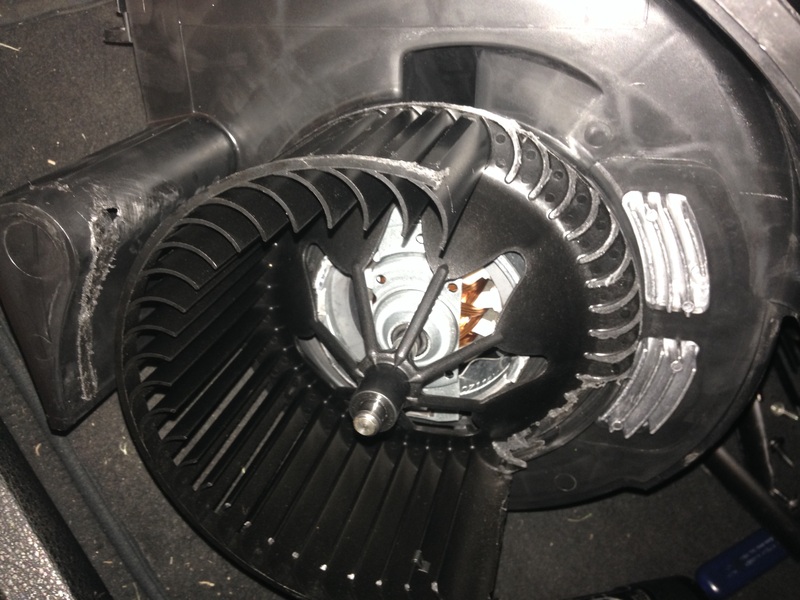 This was interesting,,,X5 E70,,,,,customer said the a/c blower was noisy ,,,,,sure enough it sounded like a thumping noise behind the dash,,,so I removed the blower which sit on the passenger’s side under the dash behind the glovebox area,,,,and look what I found,,,,almost half of the fan blades were gone.,,,,,lol. After almost 31 years doing this job,,,,I have yet to see this,,,I have seen them bent,wrapped ,,,,but not come apart like that,,,I had to fish out all the broken pieces inside the heater core box area. 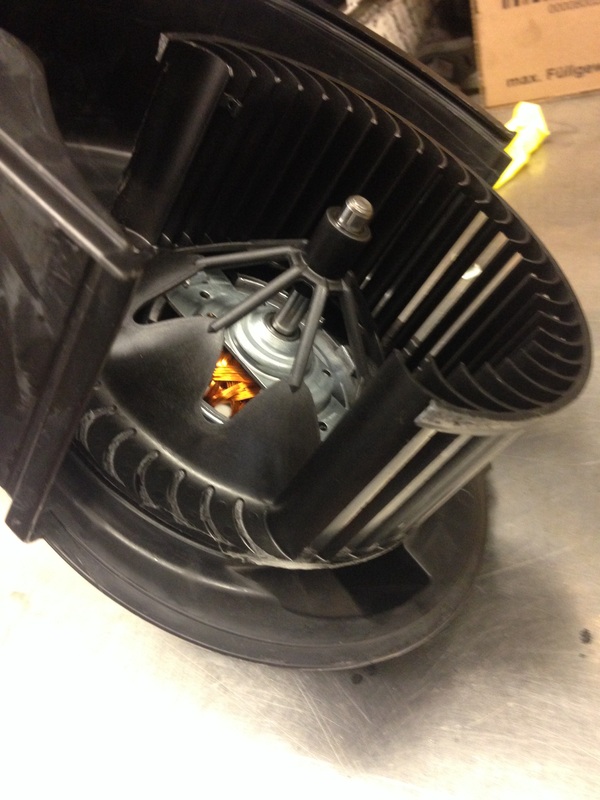 This entry was posted in Uncategorized and tagged blower motor, E70, x5. Bookmark the permalink. What year is this X5? A poorly designed part? Where did the blade fragments go while the owner used the A/C unit?